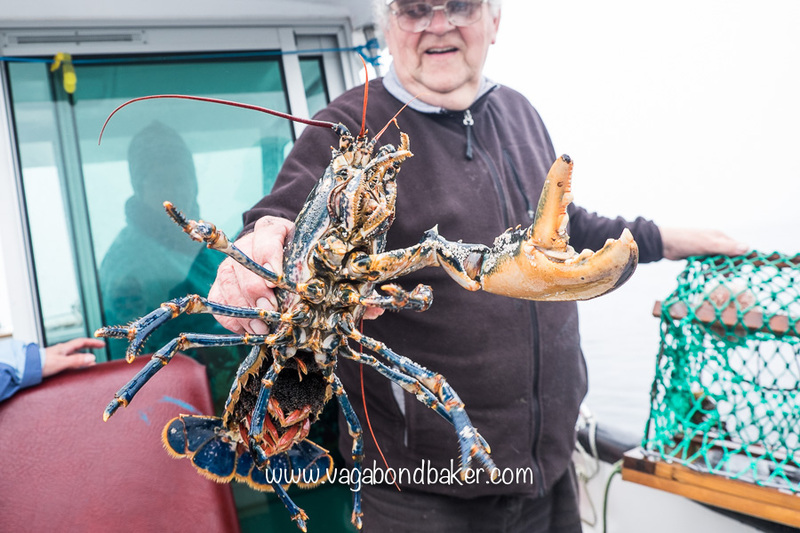 From out of the creel Ewen pulled out a magnificent lobster, vividly blue and glistening with sea water which dripped into the boat. 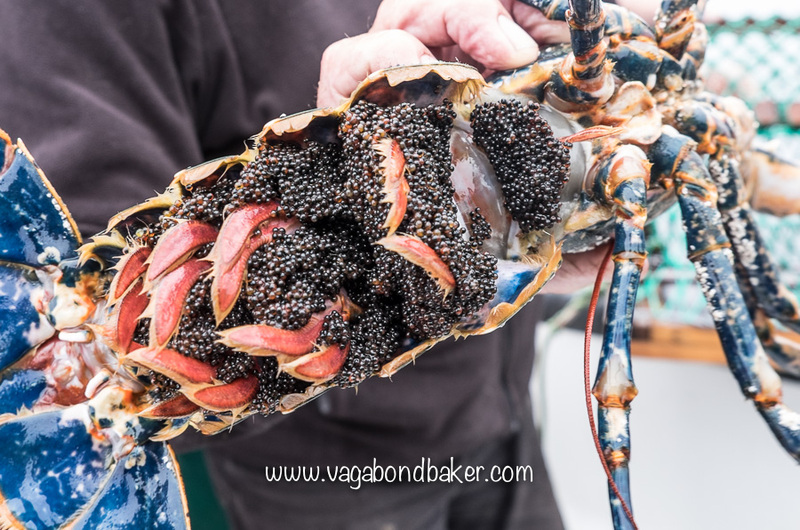 Now, I was under the impression that lobsters are red, yet this spectacular creature was cobalt blue: a European lobster fresh from the sea around Shetland. 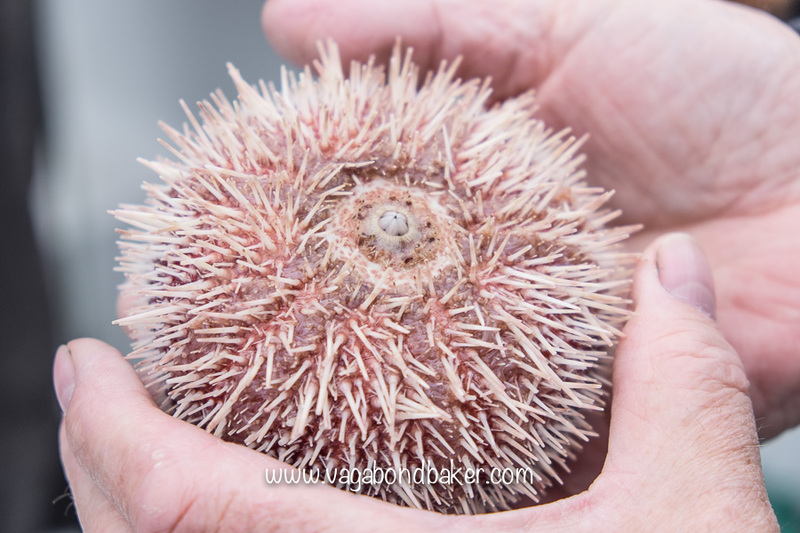 Ewen turned it over to reveal the most incredible treasure, her underside was heavy with eggs, thousands of tiny black beads coated her under-tail and her eggs gave her freedom, she was dropped back into the sea. 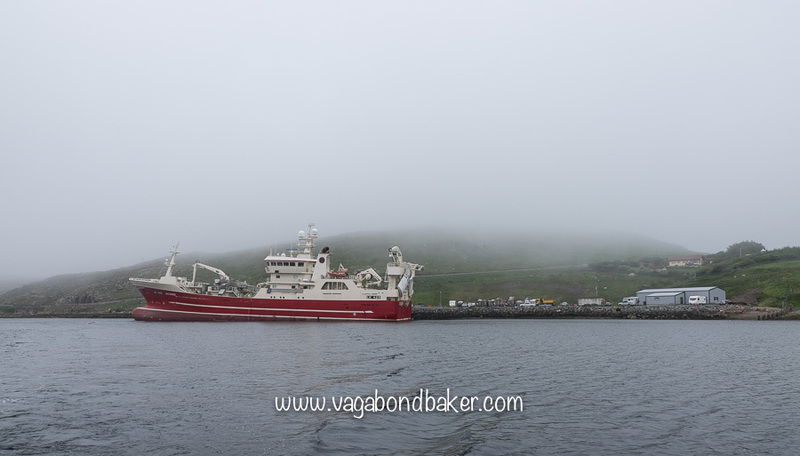 We were half way through our final week in Shetland, low mist had descended and we were parked up in Northmavine. Ewen had appeared at our van door and invited us out for an evening trip out on his boat, of course, we jumped at the chance, quickly throwing on some warm clothes. While it was a shame visibility was poor, the lobster more than made up for it. I also enjoyed the mysterious quality of the mist, rocks and islets appeared dream-like through the murk and sea birds drifted in and out of it. 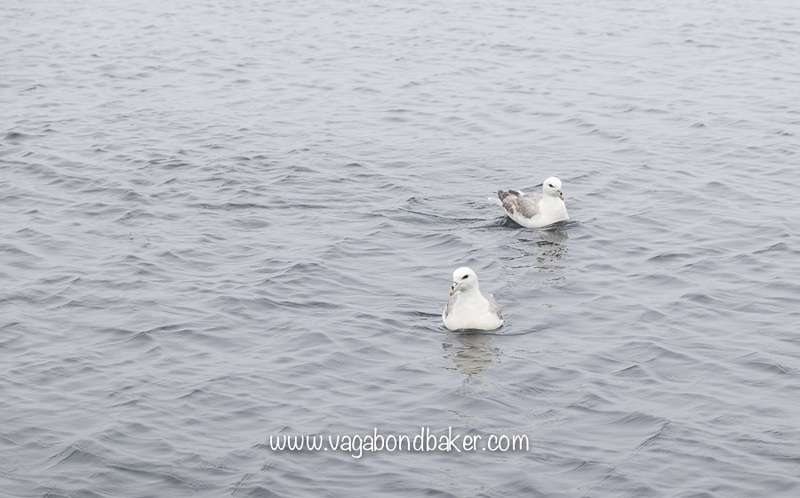 We saw lots of seals, many lounging high up on rocks where the high tide had left them, they slipped into the water as we approached to eye us up from the safety of the sea. Look at all those eggs! Only around 10 of those will survive to be a lobster! 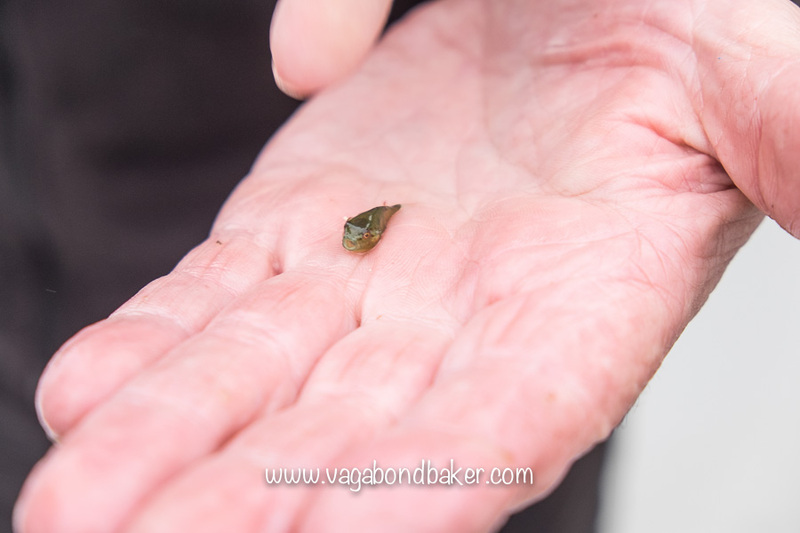 How tiny is this fella! It had been a busy day for us and this had been a wonderful way to end it. 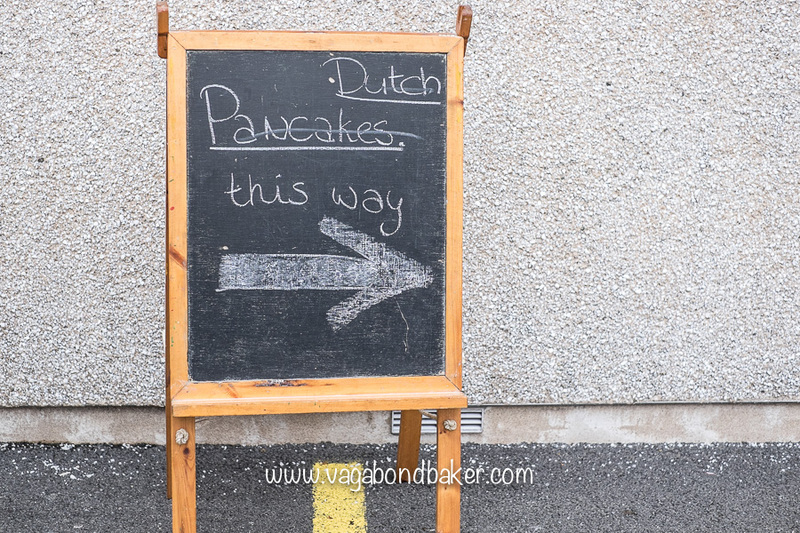 Earlier we had not only stuffed ourselves at a Sunday Tea, we had also then gone to another community hall for Dutch Pancakes! 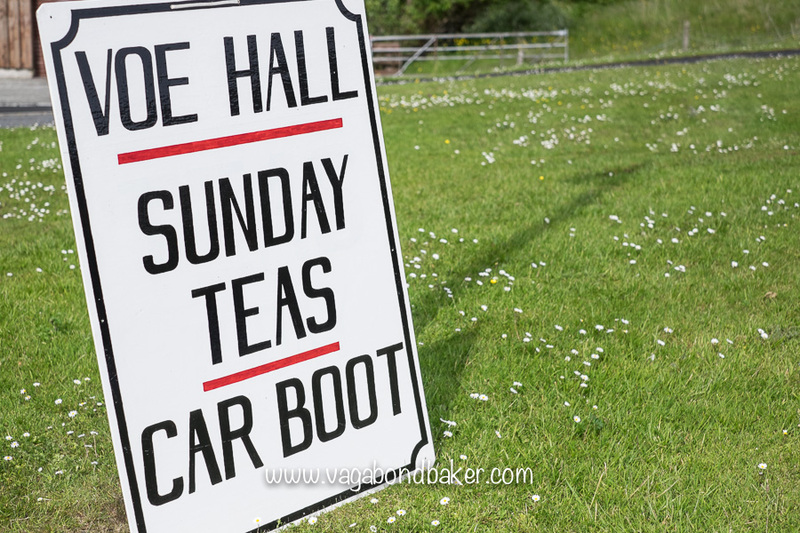 Voe Hall had been the location for the Sunday Tea, and it was really busy. 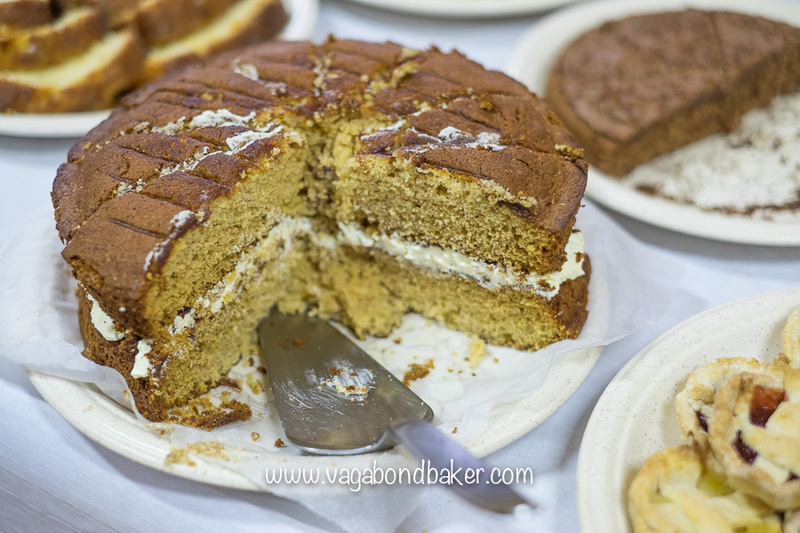 There was also an indoor ‘car boot’ and craft fair and this combination of cake, craft and car-booty seemed to draw the crowds! 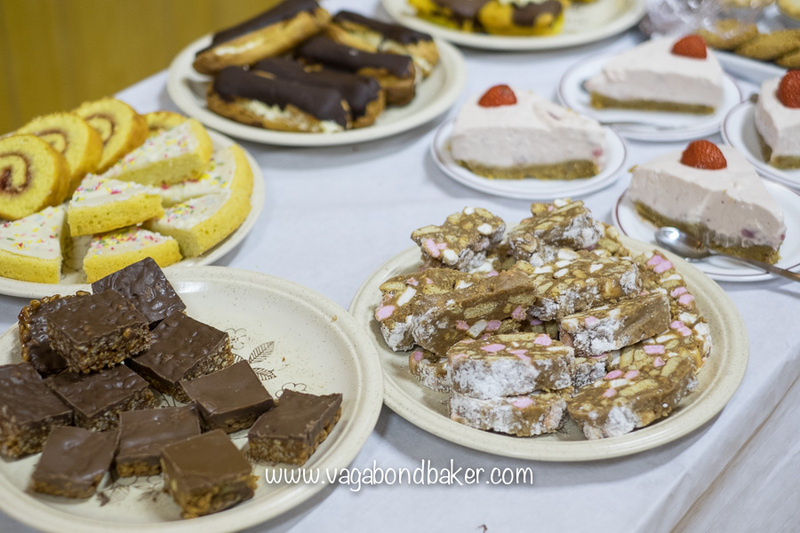 The cakes and sandwiches were displayed on a long table to the side of the craft stalls, we grabbed a plate and worked our way down the table selecting tempting home-bakes which we devoured with a cup of tea in an adjacent room. 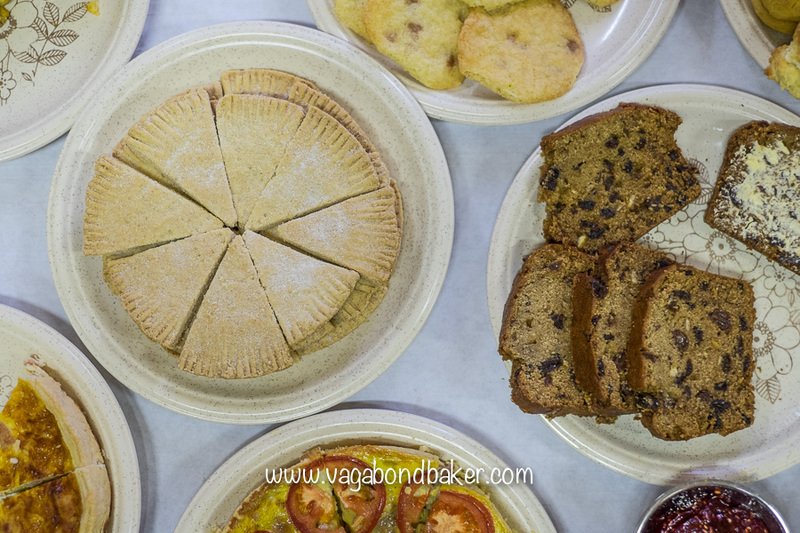 You would think we would have been suitably filled with all that cake, but no, we drove up to the North Roe hall (where we’d experienced our first Sunday Tea) for Dutch Pancakes. 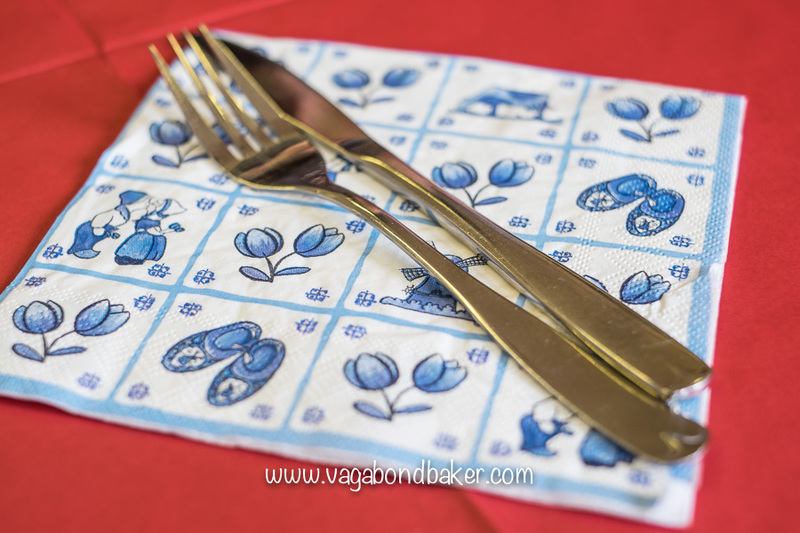 The hall had been decorated with the Dutch flag and cutlery lay on adorable napkins with clogs and windmills. 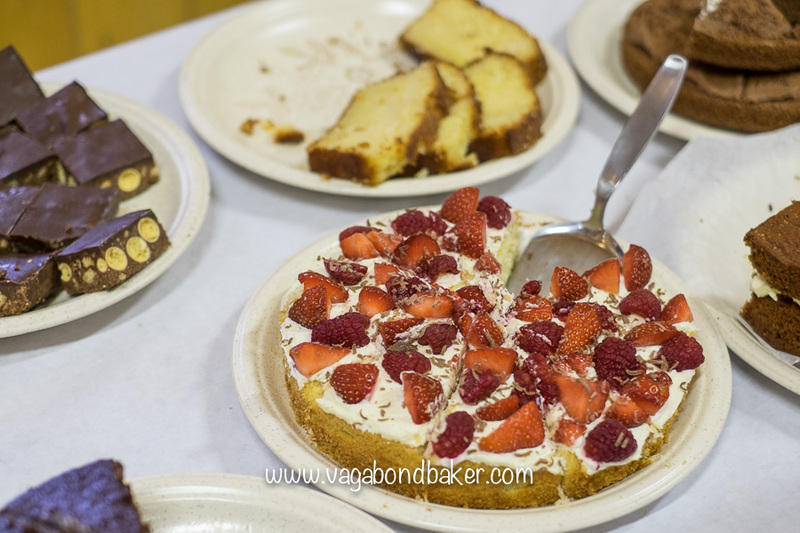 The pancake afternoon was raising money for Breast Cancer, and we both went for a cheesy pancake – something savoury after all that cake! Our final week had begun by visiting Mousa. 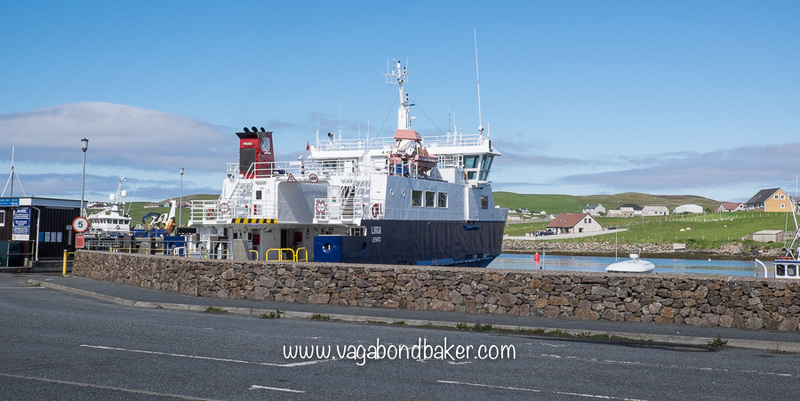 We woke to a bright sunny morning and joined the small queue waiting on the pier at Sandsayre for the Mousa Ferry. 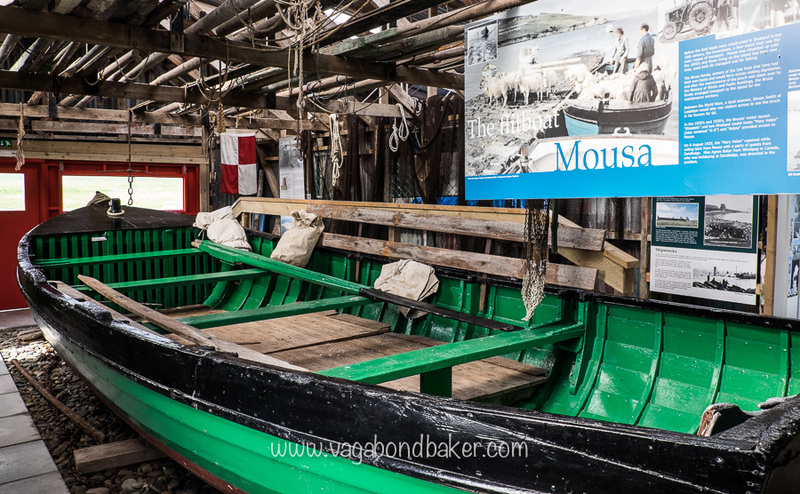 There is a little waiting room next to the pier with has an adjoining room set out as a museum complete with the original Mousa ferry – considerably smaller than the current boat. 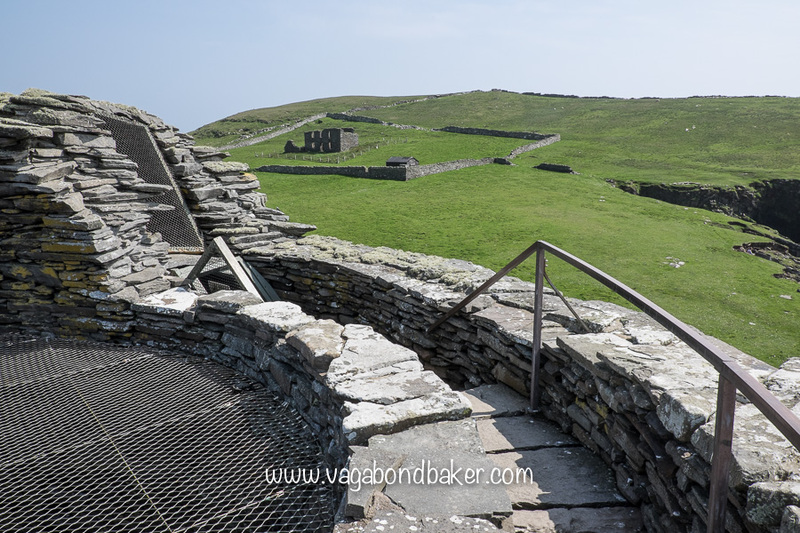 Mousa is a peerie (that means small in Shetland dialect) island off the south-eastern coast of Shetland Mainland and it has the best-preserved and tallest example of an Iron Age Broch found anywhere. 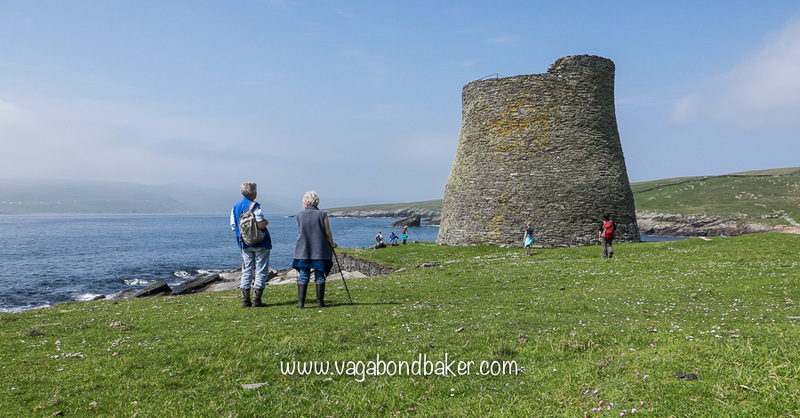 The Broch can be seen from the ferry on the way over, in fact you can also see it from the Lerwick to Aberdeen ferry too, it stands tall on the western side of the island where it has been for around two thousand years. 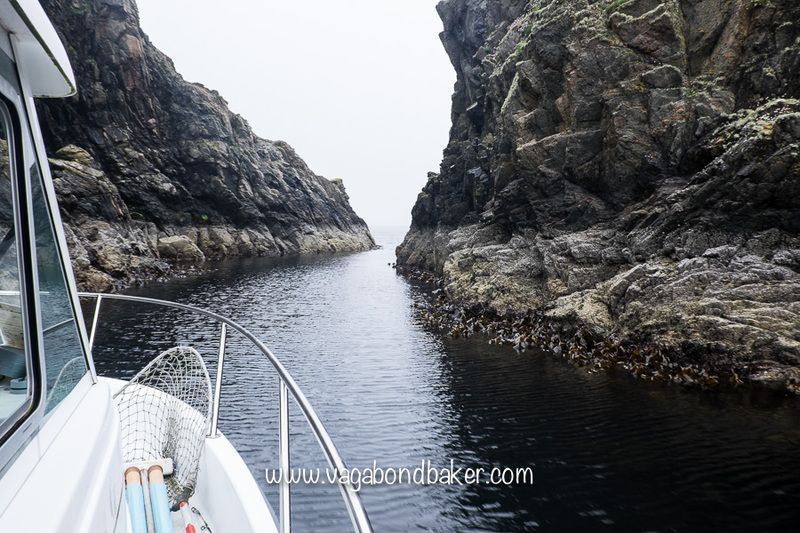 We walked the loop trail around the island from the ferry pier to the broch passing beautiful bays where seals dozed on rocks and swam in the calm sheltered water. 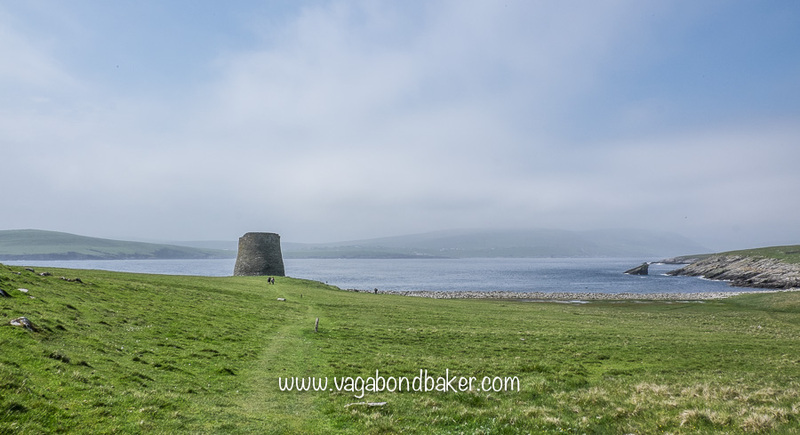 I have a fascination with ancient buildings, stone circles and the such-like; Mousa broch has been high up on my must-visit list for a long while. 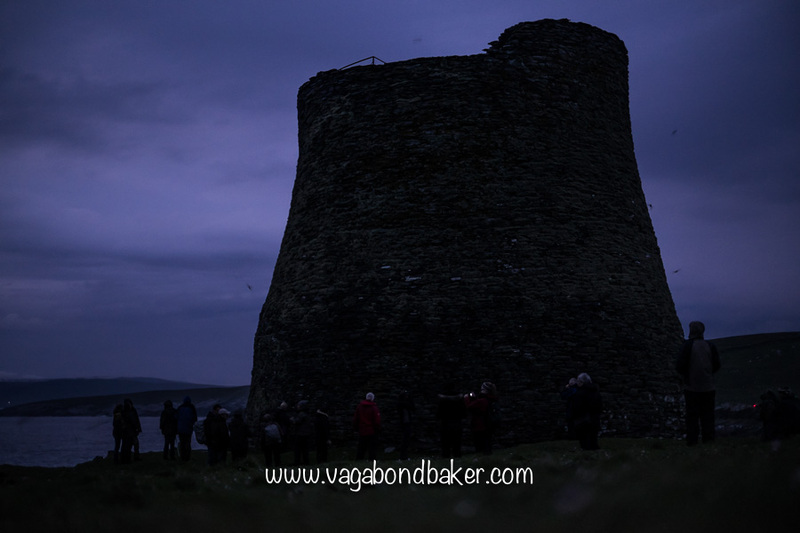 No-one really knows what brochs were used for but the common assumption is that they were dwellings. 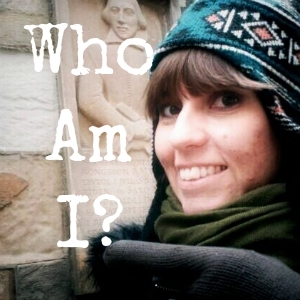 Brochs are only found in Scotland and they are cylindrical stone buildings that may or may not have had a roof. 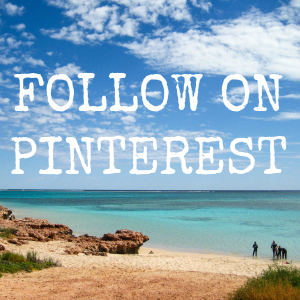 Mousa is the finest example, and the tallest built, it has weathered two thousand years well and is fairly complete. I stooped to go through the low door into the broch, closing it behind me. 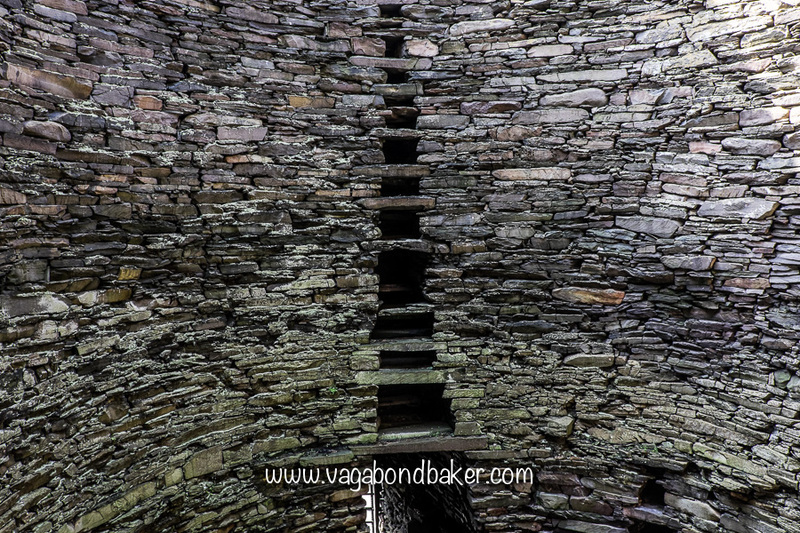 The dark interior became light as my eyes adjusted, lit from up high as the broch has no roof. 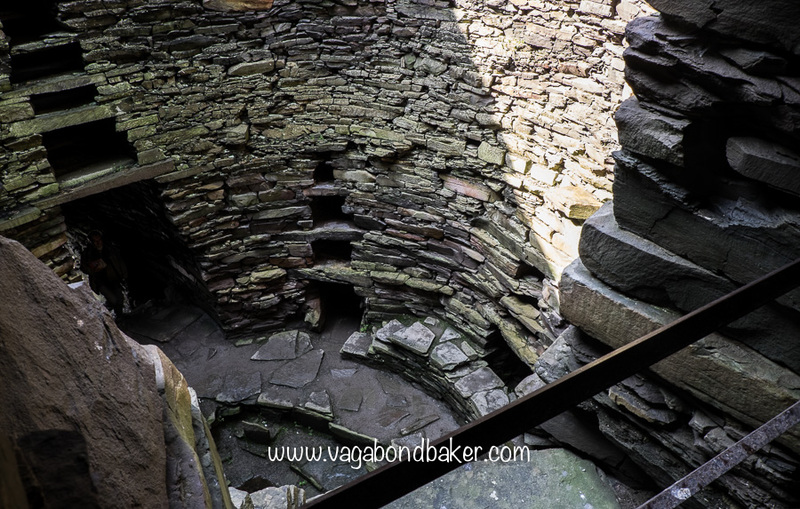 Dark niches in the broch floor tempt a torch for your curiosity and stepping up onto a stone platform an arch leads to the ancient stairs that wind up the inner walls. 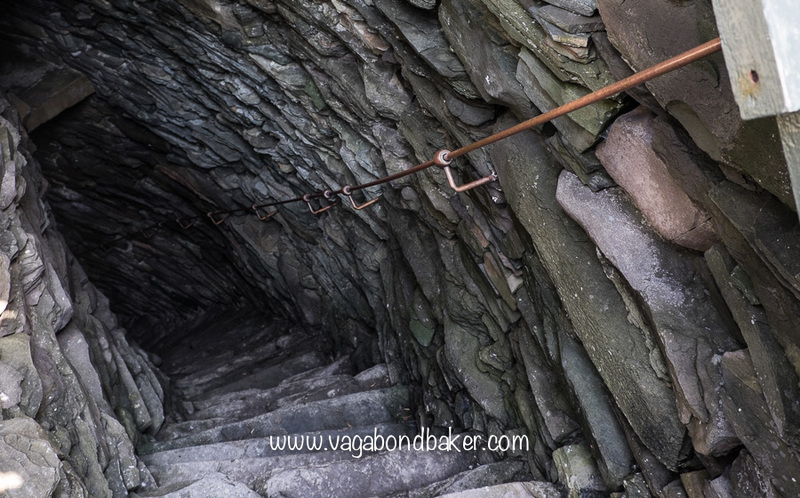 These stone steps are so narrow and shallow, not all that easy to walk up and especially not down! It is a very clever construction and ‘balconies’ open out onto the cylindrical interior. At the top the dark staircase reaches the sky with lovely views over the island. We sat in the warm sunshine near the broch before heading back to meet the ferry. Much later in the evening we caught the boat again, back to Mousa for a very special nature event. 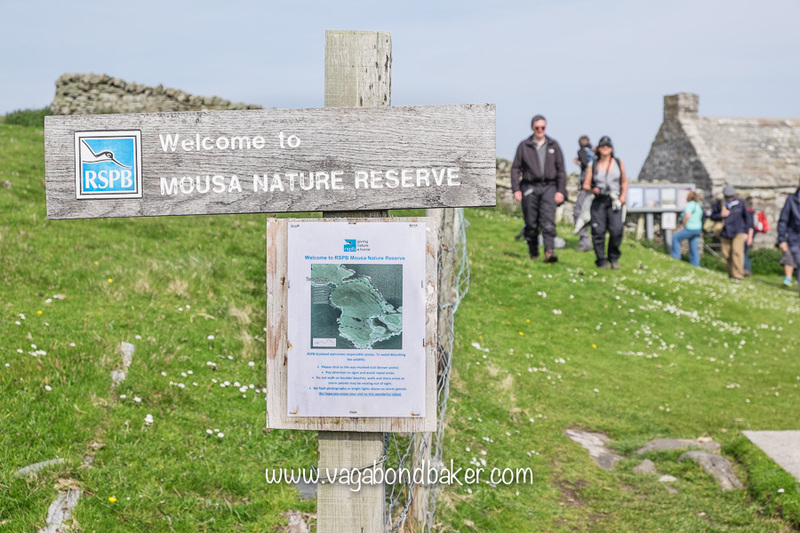 Mousa may be an important historical building, but it is also a hugely important nest site for some tiny seabirds who raise their young in the stone walls of the broch. The dinky Storm Petrel returns to the island during the hours of semi-darkness to feed their young, and they come in their thousands, not only nesting in the broch but also the nearby pebble beach. 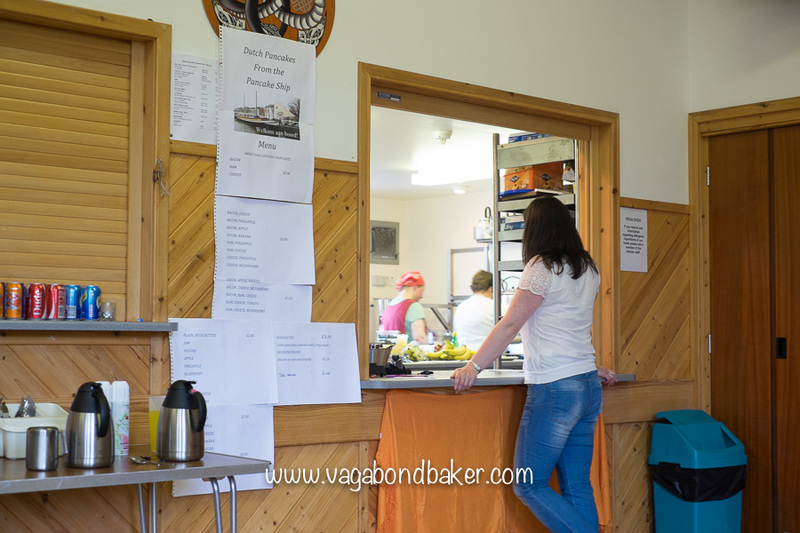 The summer Storm Petrel boat trips leave at 23.30 over midsummer then 22.30 a few weeks later; after the glorious sunshine through the day, the rain clouds had gathered by late evening and it was a very sodden group of people who stepped off the ferry onto Mousa that night. 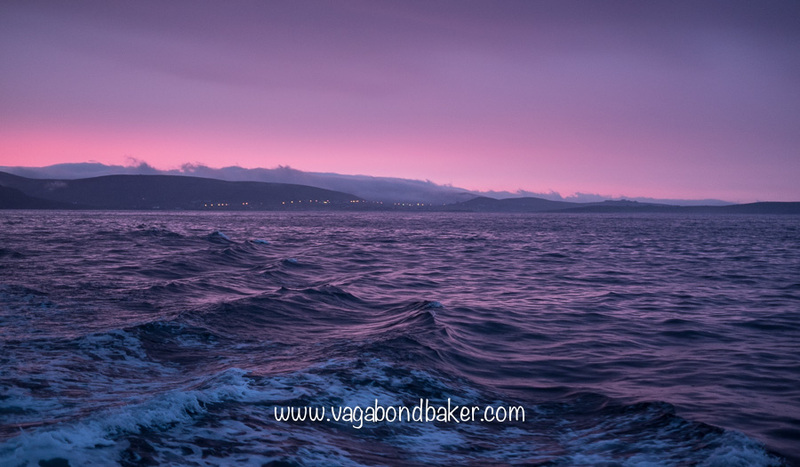 We had all seen the neon pink sunset as we crossed the sound, the relentless rain blurring the colour to an astounding pink, but our high spirits from that were soon drowned by the downpour. 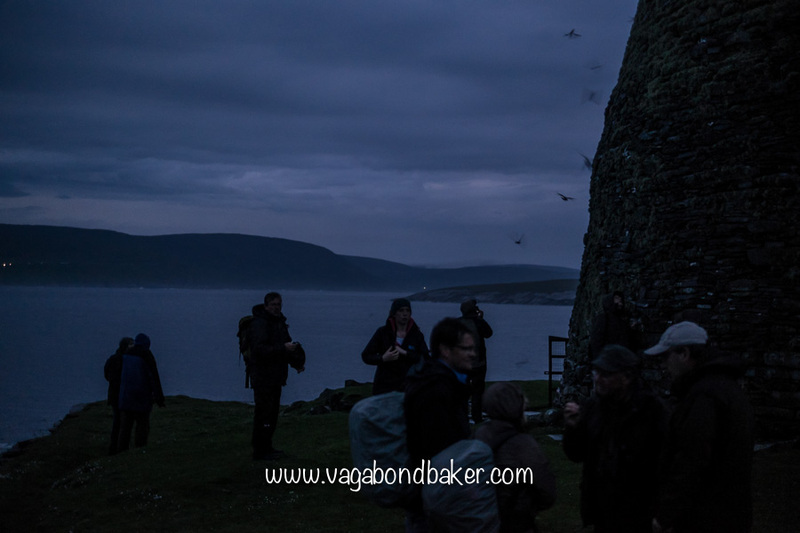 There was enough light to pick our way along to the broch, the Storm Petrels were yet to arrive so we all instinctively went to take refuge in the old building. Without a roof the broch gave little relief to the heavy rain, which had saturated everyone. I remembered my earlier visit and crouched in one of the low alcoves in the wall until the rain eased somewhat. Then the magic happened, one by one the tiny Petrels appeared, swirling around the broch in the gloom. 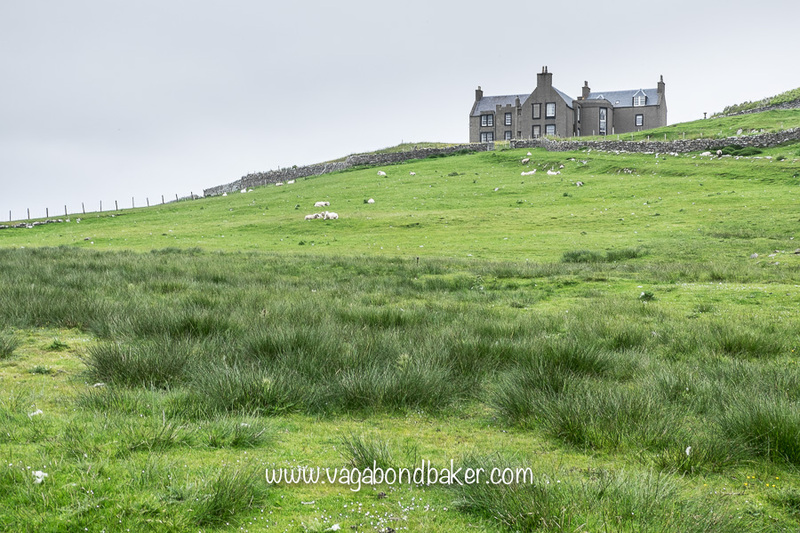 It was a surreal experience, the birds looked bat-like as they circled the stone building looking for their nests, there was something rather Tim-Burton-esque about the whole thing. 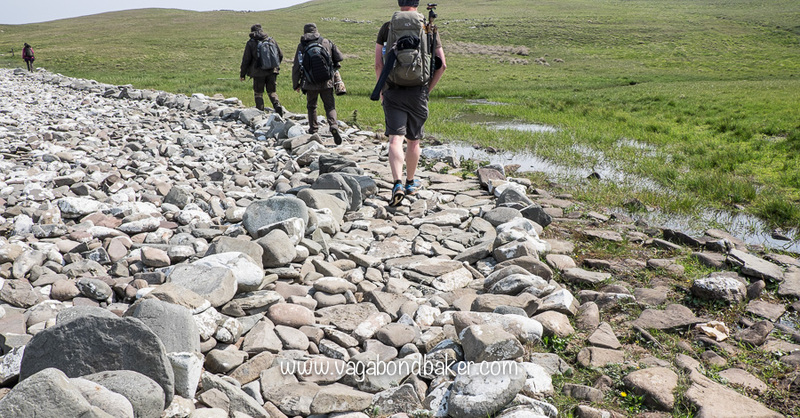 Walking back past the pebble beach we paused for a moment, the beach was alive: petrels swarmed over the rocks! 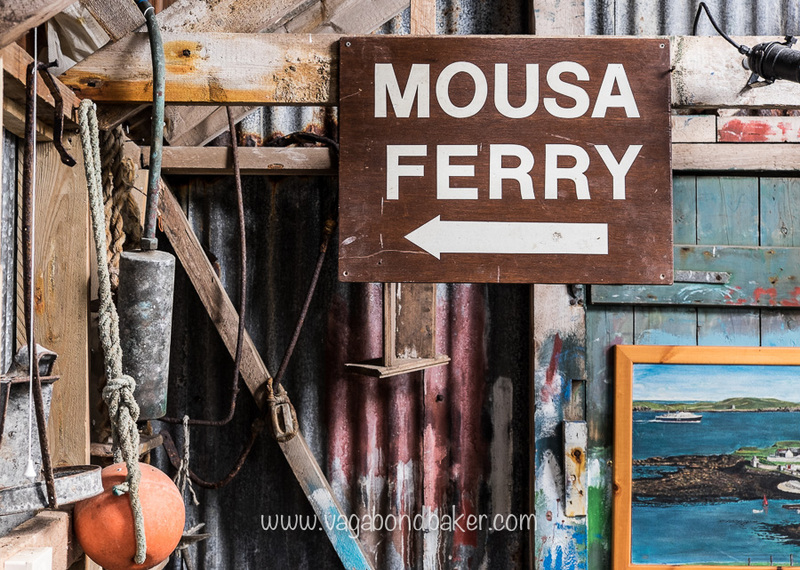 The day following the Mousa adventures we took the ferry from Lerwick over to Whalsay after driving through some beautiful scenery in Nesting, a pretty corner of the Mainland. We had passed the ferry terminal at Laxo, saw there was a ferry waiting and took it on a whim! 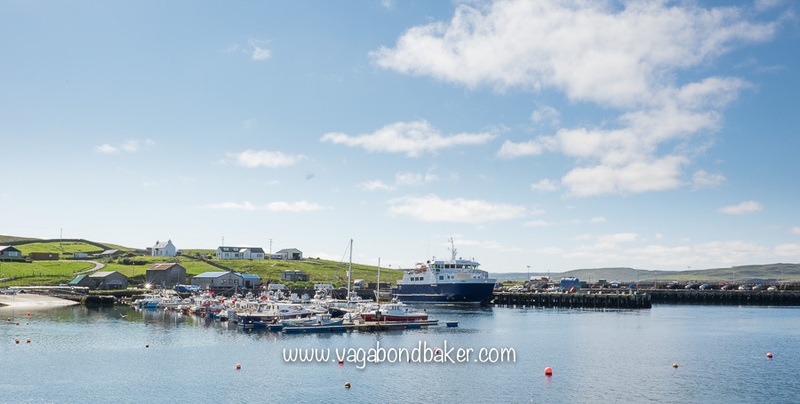 Whalsay seemed a little more affluent than some of the other islands we’ve been on here, the marina next to the ferry terminal was full of shiny boats dazzling in the sunshine. We drove around the island, it looked very lovely in the late afternoon light. We found a quiet lay-by to overnight, the warm evening would have been perfect to sit out and enjoy the view but a lack of breeze meant a cloud of midges descended. 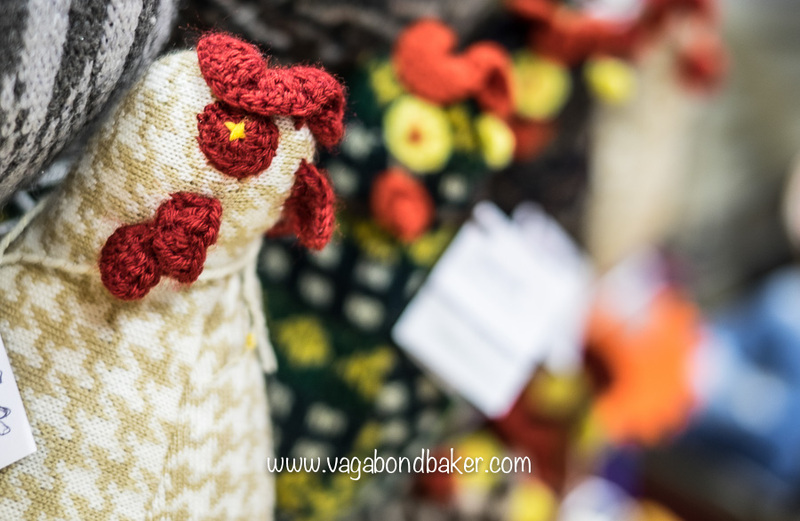 It was a challenge to keep them out of the van! Lunna House, the base for the ‘Shetland Bus’, a Norwegian Resistance movement in WW2. 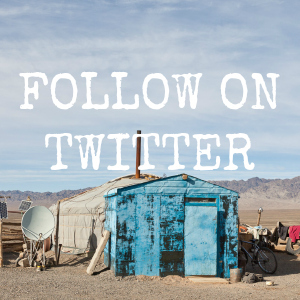 So, that brings me half way through the week, I’ll leave it here for now and bring you the second part on Thursday. 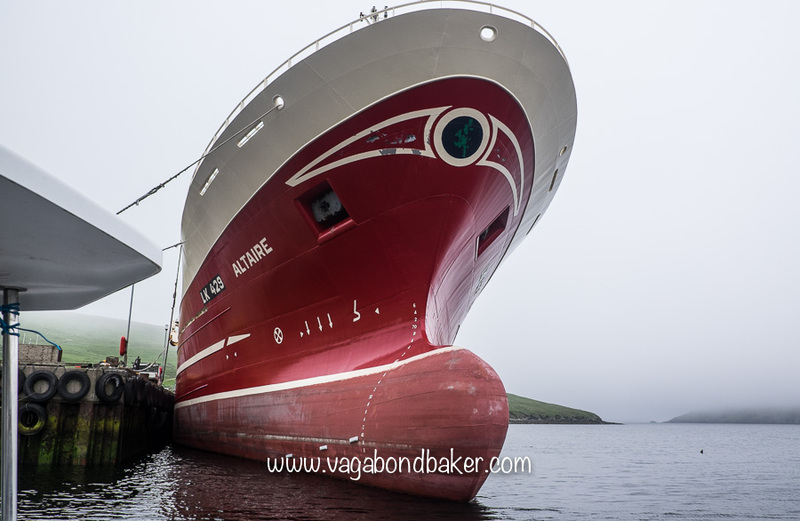 Stay posted for our final days in Shetland and the ferry back tae Aberdeen! 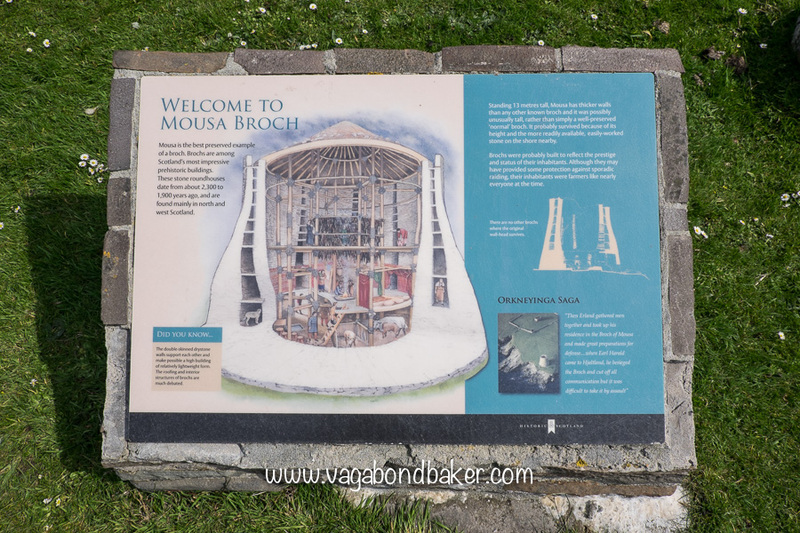 I love that Broch house – never heard of that before! It’s so tall! Like an old-time multilevel apartment building. 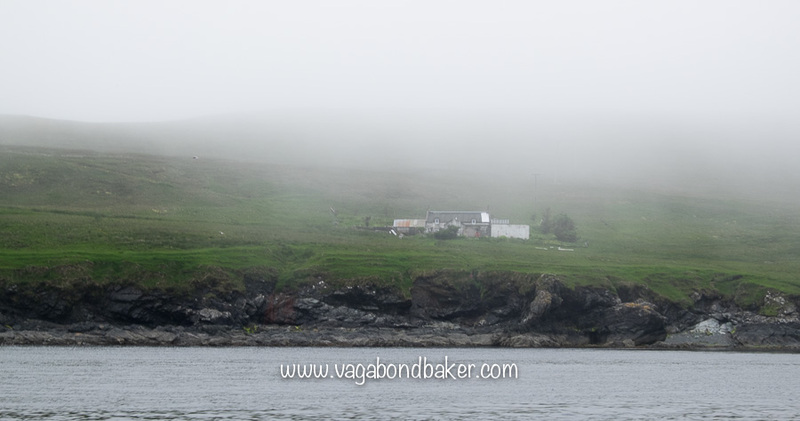 Do people still speak the Shetland dialect you mentioned? Or do they at least use some of the old words from time to time? 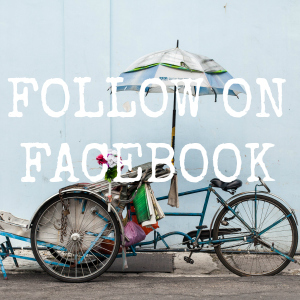 Looking forward to part 2 of your post! 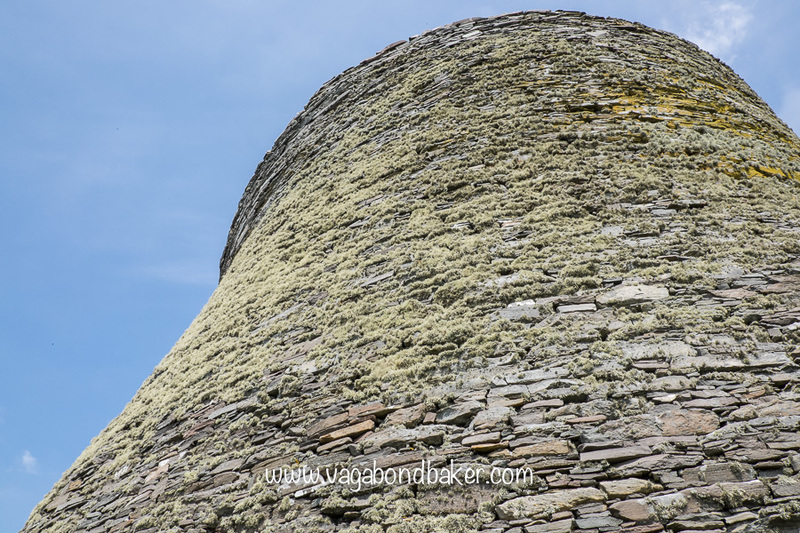 Yeah, there are quite a few Brochs in Scotland and this one is the biggest and best! 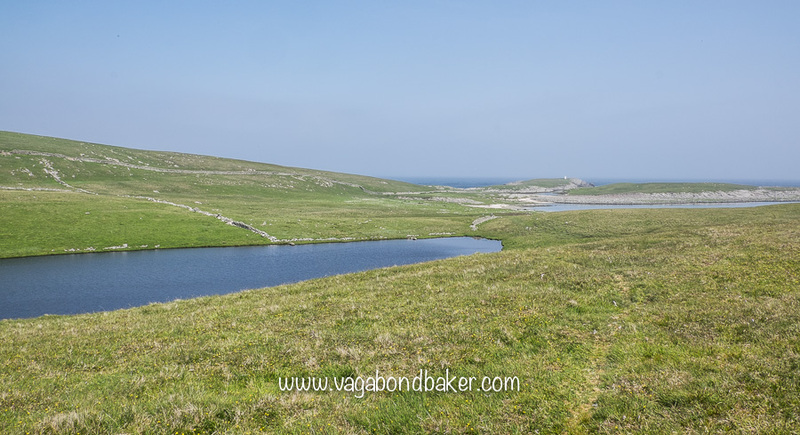 Yes, the Shetland dialect is alive and very much spoken. I talked about it with Joe on the boat trip and he said most Shetlanders dial down the dialect when talking to a non-Shetlander. 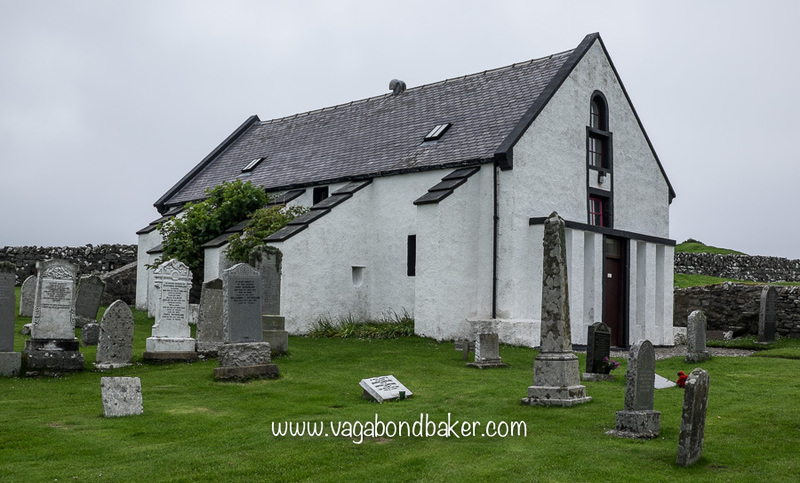 No one speaks the older Norn language that was spoken before Shetland became Scottish (it was Norweigan),the last speaker died in the mid 1800s. Thank you Emily! 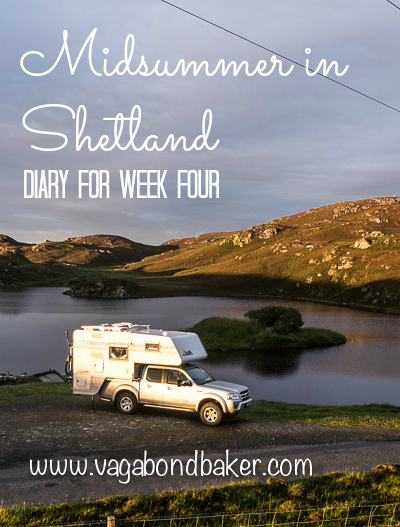 You should definitely pencil in a trip, I’ve fallen for Shetland! I’m back down in Yorkshire now and I’m missing it! 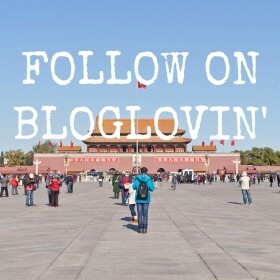 World First Travel Insurance Blog » Blog Archive The World First Wander: here comes the summer!